As Cannabis focused Construction Managers, our team has toured many prospective facilities out in the far off lands of Western, Ma. We are often invited to put construction professional eyes on these buildings by clients who are looking to take advantage of the low cost per kilowatt hour as well as the lower property values. While there are challenges to overcome with these aged properties, there are certainly Pro’s along with the Con’s. 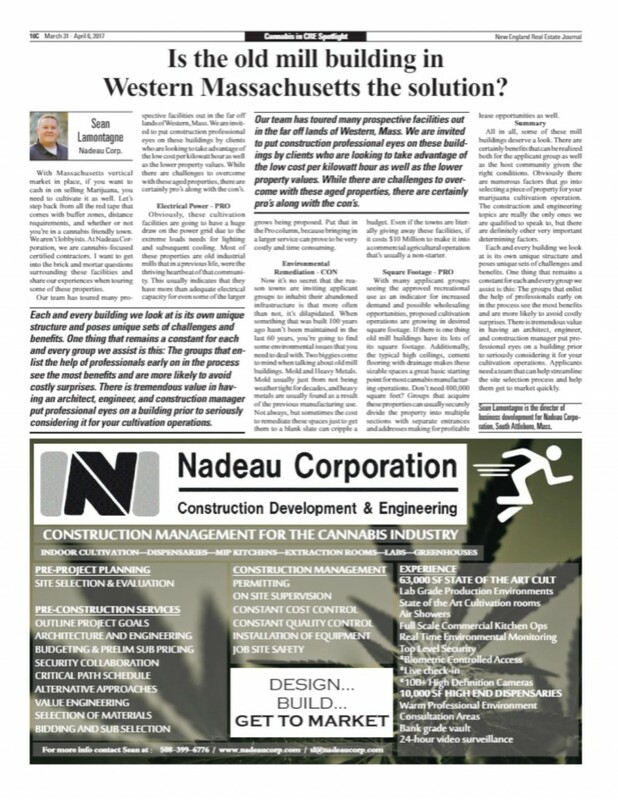 See our article published in the New England Real Estate Journal here: or by clicking the picture below.